I’VE ONLY EVER GOTTEN FLOWERS THREE TIMES IN MY LIFE. Once they were from my father. It was back in Pennsylvania, right outside of Philly with our backyard growing into a wooded mountain with birdwatching trails, the brick farmhouse with dark blue faded shutters and that large wooden picnic table. My father must have been out of town on a business trip and because of that was missing my first day of school. I was starting kindergarten. Daddy’s little girl, all grown up. I wore a denim skirt, high white socks with ruffles at the end, and brand new Keds. My mother had curled my hair (yes, at age five my mom would curl my soft brown shoulder length hair) and it was gathered at the crown of my head in a pink bow. I looked adorable. A big white basket arrived with a dozen or so white daisies and a little white stuffed bear with a cute bear face and cute bear ears. I was thrilled. We left it on the kitchenette table in front of the window for days so the daisies could soak in the sun. 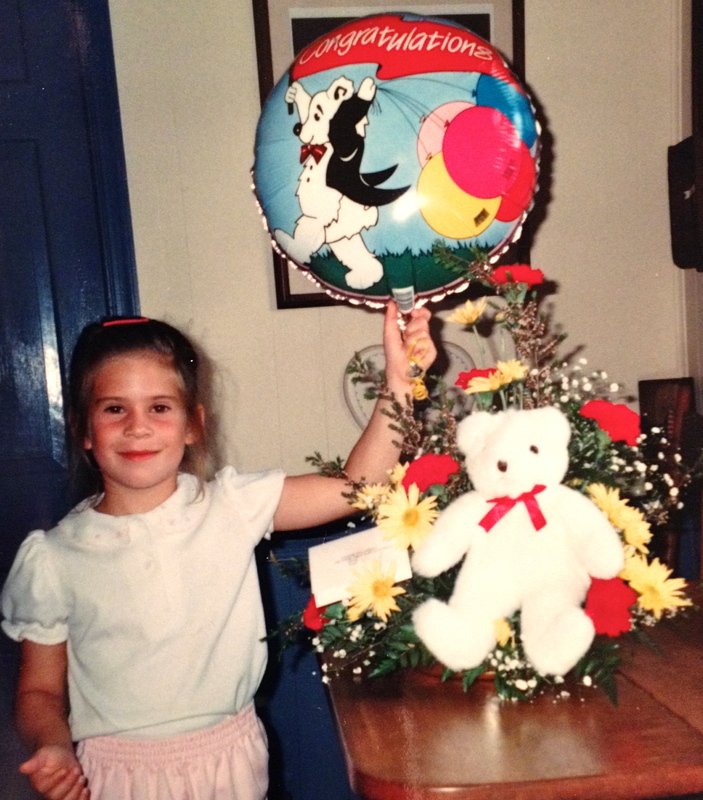 I carried that bear with me to school as a token of having a daddy who cared. The second time was from a man, but back then we we’re still just kids, for my 16th birthday. I had a crush on this kid for a good while. I remember him being strong. Dark hair, darker eyes, but had such a sweet spark and life to them. And that smile. It just made me giggle. We had been friends for years, since 6th grade at least. We started talking online, as all kids did back in those days. Hello. You’ve got mail. We talked. We flirted. It was all in good fun. Back then I don’t think I had even kissed a boy before. Maybe I had that summer. I forget how old I was when that first happened. It makes me cringe a little. Makes the back of my neck tense up and puts anger in my face muscles. I think it was a single flower in a vase. A red rose. Just one. It had been Christmas Day and the doorbell rings and it was a florist lady that my mother knew from church and she had a delivery for me. A flower with a card with my name on it. I wish I remembered what that card said. I’d laugh at its bitter insincerity now. I did not appreciate his gesture at the time either, because that was after it had all gone down, for the first time. It was a surprise though. And flowers that are a surprise still make you tingly inside, even if you don’t love the person. It is fascinating how flowers can make you feel a certain way. Now with a smile on my face I wonder why is it that woman so love to receive flowers? Maybe every father gets his little girl flowers and a teddy bear once in her life when she’s little and innocent, before broken hearts and trying to please, and from then on it’s something she always desired because to her it means she is loved.